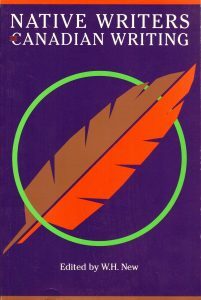 Cover of Canadian Literature’s Native Writers and Canadian Writing. Canadian Literature: A Quarterly of Criticism and Review proudly presents a TLEF-supported learning resource, “Indigenous Literatures in Canada.” As part of the CanLit Guides project, this guide uses Canadian Literature ’s online archives to encourage students to consider the complicated relationship between colonialism, literature, history, culture, and language. Indigenous Literatures in Canada includes case studies of The Rez Sisters by Tomson Highway, Green Grass, Running Water by Thomas King, Monkey Beach by Eden Robinson, and a discussion of the visual poetry of Shane Rhodes and Jordan Abel. A team at Canadian Literature curated and developed this guide. The guide was produced at the Canadian Literature offices at the University of British Columbia Vancouver Campus, on ancestral, traditional, and unceded Musqueam territory. 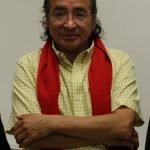 In Canadian Literature ’s groundbreaking 1990 special issue, Native Writers & Canadian Writing , W. H. New argues in his editorial that “Power declares; it doesn’t readily listen” (4). At the time, Canadian Literature still represented the power of the Canadian literary establishment, but for this issue the journal attempted to critically listen and engage with Indigenous writers, rather than speak over them. 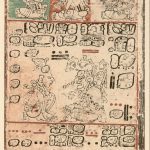 By implication, this shift also means the journal asked its readership to become willing listeners about Indigenous literature, in all its contradictions and complications. Many early anthropologists argued that all societies transition from hunter-gatherer, to nomadic herding, to agriculture, to the formation of large cities in the same way, and that the later stages were superior to the earlier ones. Anthropology has moved on from this idea; however, the idea that certain societies are superior to others is connected with other widespread ideas such as the myth of progress (new technologies are invariably better), Whig history (past societies are evolving towards democratic freedom), Social Darwinism (the fittest humans survive best, so the poor should be left to starve), and Scientific Racism (whites or Caucasians are at the top of an evolutionary ladder). This chapter stages an imaginary conversation between Duncan Campbell Scott (born 1862), the Canadian Deputy Superintendent of Indian Affairs from 1913 to 1932, and E. Pauline Johnson (Tekahionwake; born 1861), the daughter of a Mohawk Chief and an Englishwoman. 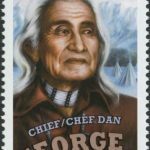 Scott and Johnson were distinctively different poets who addressed Indigenous issues from very different racialized and gendered perspectives. 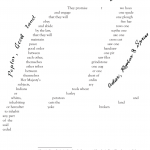 This chapter includes several contemporary visual poems by non-Indigenous poet Shane Rhodes (b. 1973) and Nisga’a poet Jordan Abel (b. 1985). These poems engage with the ways that land negotiations, treaties, and cultural documentation dispossessed Indigenous peoples. 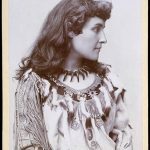 E. Pauline Johnson (Tekahionwake; 1861–1913) was a popular poet, critic, and performer. 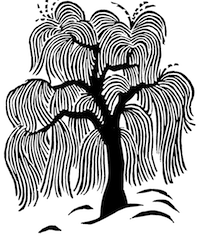 In this chapter, we address a small sampling of her wide range of poems and prose. The life and career of Pauline Johnson has been the subject of renewed academic attention since the 1960s, in particular with the growing interest in feminism, Indigeneity, and diversity. Several important political developments in the 1960s helped strengthen Indigenous nationalism in Canada. 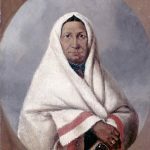 Until the 1960s, Status Indians—peoples legally recognized by the Indian Act —lacked many rights enjoyed by Canadian citizens, as the Indian Act categorized them as wards of the state. 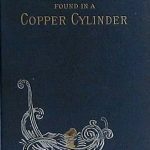 Published posthumously in 1888, James De Mille’s A Strange Manuscript Found in a Copper Cylinder tells a satiric story of a lost utopia through a frame narrative and an internal tale ostensibly found in a bottle floating at sea. The questions in this case study guide students through the frame narrative structure, as well as the use of irony and problematic depictions of utopia. The Rez Sisters launched Highway’s career as a notable and influential playwright in Canada, and earned him a Dora Mavor Moore Award in 1987. The play was initially performed only in Indigenous communities, but then moved to major stages across the country. Thomas King’s storytelling, publications, and talks play a significant role in developing Indigenous literatures in Canada and the United States. 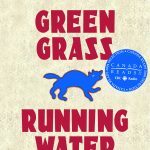 Green Grass, Running Water , a finalist for the 1993 Governor General’s Award, remains one of his most popular works. Haisla/Heiltsuk writer Eden Robinson’s first book, a collection of stories called Traplines, was published to critical acclaim in 1996. 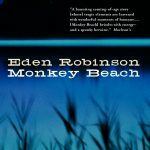 Robinson then adapted one story from the collection, Queen of the North, into her debut novel, Monkey Beach, which was shortlisted for the 2000 Governor General’s Award and the Giller Prize, and won the Ethel Wilson Fiction Prize.